REMEMBER THE TORAH . . . When the time comes, we’ll be snatched-away just as the Scriptures say, but it will be at the end of the Distress, and done by the malakim (the good ones) sent by Yahusha (Mat 24:29-31). Yahusha explained that He would send His malakim to the ends of the Earth to gather His elect, so we won’t be using transports of any human design. For now, we have work to do. As part of our preparation to endure the Distress, Yahusha foretold certain events, and one was specifically describing the darkening of the sun. What follows is written as a reminder for those who are believers in Yahusha ha'Mashiach of Natsarith, and follow the Torah of Yahuah - and those who will repent and join with us. Most people reject our words now, but a time is coming when they will beg to listen. Prior to the Return, events will occur that no one will be able to ignore. Everyone not sealed for protection - Elitists, homosexuals, secular humanists, abortionists, atheists, agnostics, and those who practice false religion* - will experience a breakdown in their sanity. Reading Harry Potter books won't help anyone with what's coming. Minds will snap, and hearts will melt within all mankind. Because we know His Name, Yahusha wants us, His body, to be aware of coming events in order to spare us the terrible fear that others will face. Read Ps 91 as it relates to what you are about to learn. Yual 2:30-32; also Act 2:21,2:39; Rom 10:13, Isa 4:2-3, Obad v. 17, Rev. 14:1. 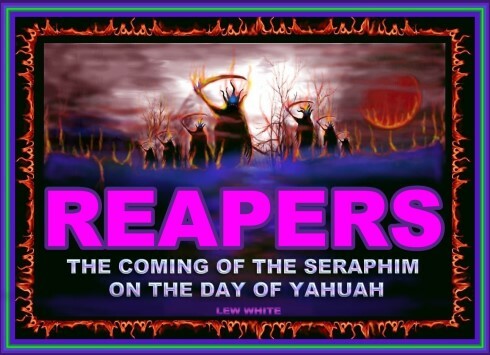 Notice there will be an escape for those on Mount Tsiyon and in Yerushalayim, AND among the survivors whom Yahuah calls, who will be scattered elsewhere on the Earth. If we take the words literally (the sun being turned into darkness, and the moon into blood), the study of cosmology helps explain what we will witness. 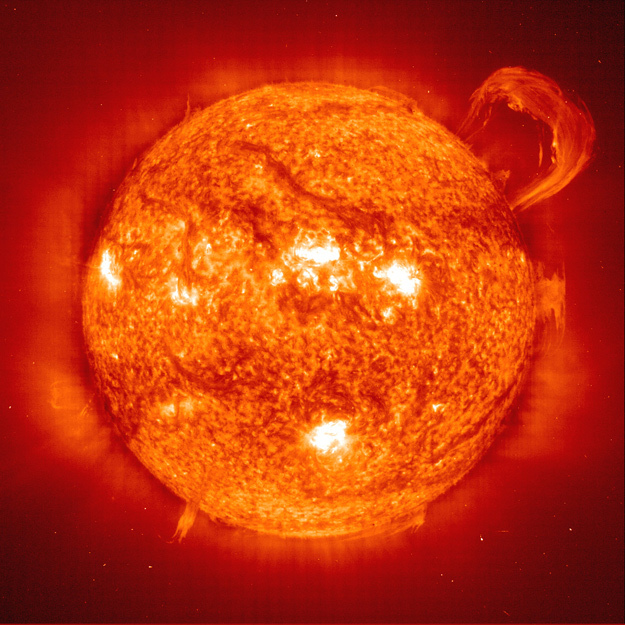 The most frightening thing for everyone alive on this planet will be the sudden flickering-out of the object which Yahuah created to give us light and warmth: the Sun. We are told in advance about this severe sign so that we would not be afraid. Many people will simply drop dead when they experience the fright of the sun switching-off. 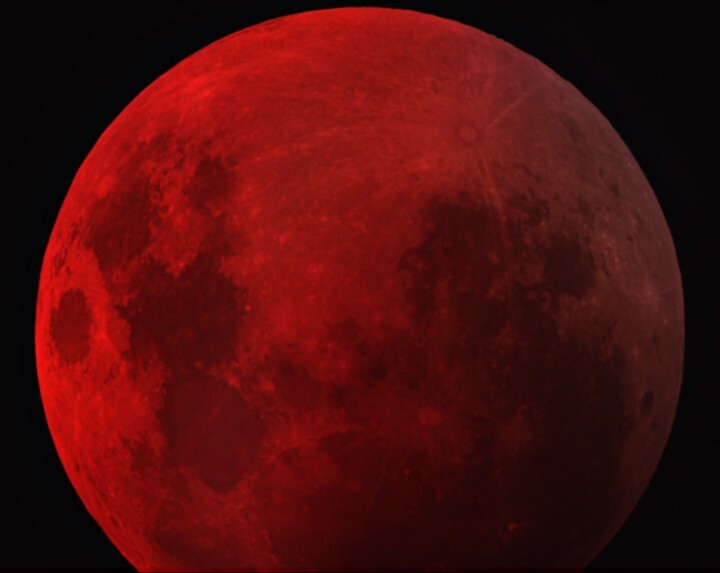 seem to be the color of blood, reflecting the light from the reddened sun. The heliosphere, or solar wind, will essentially cease to exist. 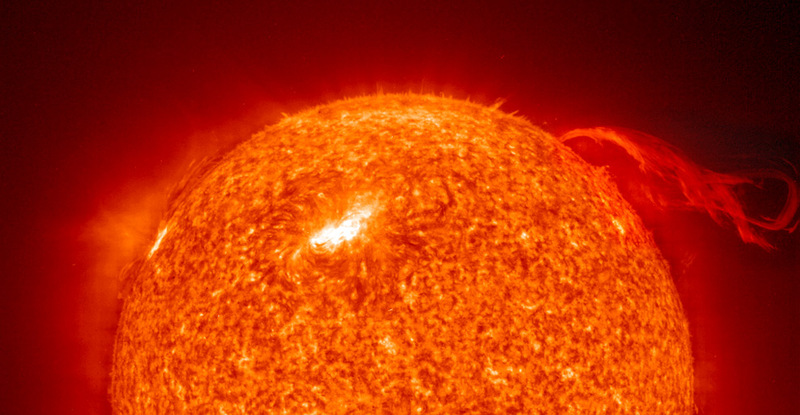 The Sun will have become a red dwarf star. Because the outward pressure will temporarily stop, the Sun’s mass will cause it to shrink to less than half its current perceived size. As scary as this whole scenario sounds, what follows is even worse. When the sun re-ignites from the pressure of the collapsing gas, there will be a solar nova, or burst of heat, light, and plasma. This will seriously scorch the Earth, and many will be burned to a crisp. The oceans will be moved out of their places, and islands will be annihilated. Coastlands will be lashed clean. All of these things have been described by the prophets of Yahuah, and Yahusha also warned us of them (Mt 24). Kepha (Peter) spoke of it also, at 2 Pet. chapters 2 & 3. This outpouring of wrath on the rebellious will not harm those steadfast in the Covenant, for we will be changed, clothed with immortality, just as these events begin to unfold. “No evil befalls you, and a plague does not come near your tent; for He commands His messengers concerning you, to guard you in all your ways.” Ps 91:10,11 (tent = your body). Extending over the entire Earth, it will be like the plague of darkness in the land of Egypt. Added to all this fun, “stars” (meteors) will fall from the sky, causing some to blaspheme Yahuah. Some of these meteors will be near planet-killers, causing the Earth to reel like a drunkard from the breaking-up of the crust, and exposed magma. It will literally be the worst period seen since the Earth was created. Those living anywhere within hundreds of miles of a volcano or crustal plate edge will be consumed by lava. Yahusha promised to shorten the days for our sakes. Then He will appear in the skies, and every eye will see Him coming. The transgressors and those who resist His Sovereignty will be hiding themselves in the caves, and under rocks (tunnels they’ve prepared). “And the fourth messenger poured out his bowl on the Sun, and it was given to him to burn men with fire. And men were burned with great heat, and they blasphemed the Name of Alahim who possesses authority over these plagues. And they did not repent, to give Him esteem.” Rev 16:8,9 Clearly the Sun will burn mankind. False teachings about when we will be changed cause many people to believe they will not be on Earth to witness the wrath. Rather, we will be taken (or snatched) by Yahusha as He is returning in the skies, coming to take dominion over this lost world. Our Redeemer comes to take us to Himself, so we must not fear the wrath being poured out. As the lost will feel the terror, we will feel the love of His presence as He comes to gather us on the day of His return. “And immediately after the distress of those days the sun shall be darkened, and the moon shall not give its light, and the stars shall fall from the heaven, and the powers of the heavens shall be shaken. And then the sign of the Son of Adam shall appear in the heaven, and then all the tribes of the Earth shall mourn**, and they shall see the Son of Adam coming on the clouds of the heaven with power and much esteem. If you noticed, these events are clearly explaining a period of distress (Great Trib), followed by the grand finale, the darkening of the sun. Next, a meteorite bombardment commences, and the powers of the heavens “shake.” “And then,” Yahusha appears in the skies, apparently while the sun remains darkened. At this point, a great shofar is heard, and the messengers (malakim) are sent to gather the chosen ones (elect). It is at this point the sealed Torah-obedient followers of Yahusha are really gathered. It should be obvious to all readers now; the Christian rapture ideas are incorrect, and are dangerous because so many will be unproductive harvest workers, paralyzed by the false expectations they were given. Yahusha wants them to return to the Covenant NOW, so they might be added to us to do His work among the lost in the days ahead. The majority of Christians have been listening to misguided teachings, making them unprepared to stand in the day of wrath. In fact, they will be the “survivors” whom Yahuah will call, assisted by the Natsarim who will be on Earth during the distress. The Natsarim are the elect (chosen ones) for whom the duration of the distress will be lessened. Our purpose during the distress will be to help people be restored to the Covenant. They must be helped to overcome many false teachings learned from misguided preachers. They will learn that Sun-day is not the day Yahuah blessed, and because of their distress, they will listen to us more closely. They will not argue about the true Name, and many will submit to immersion for the remission of sin, and be sealed for protection. understand “heaven”. We will reign with Yahusha in His “Kingdom” of heaven, based here on a renewed Earth. His Throne will be on Earth, and we will be with Him always. 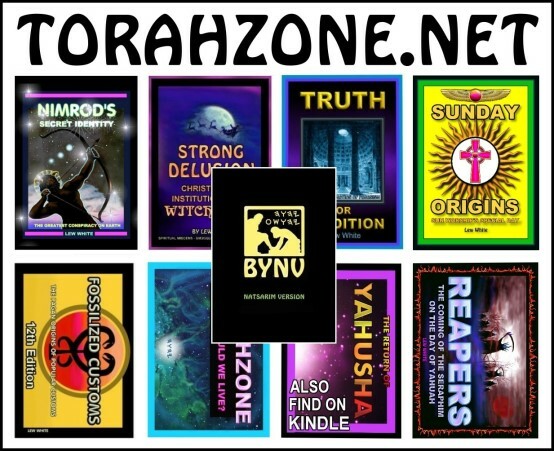 Amos 5 and Yual 2 explain to us that the Day of Yahuah is a day of great darkness, and Yahusha’s words at Mt. 24 are given to us so we will be comforted when we see the sun literally turn off like a lamp. It will still be glowing RED-HOT, but it will be so dark that we would be struck with terror if we didn’t realize what was going on. The “Sun” and “Moon” are not symbolic for worldly rulers as some teach today. The darkness will be real, not figurative. This article is written to awaken many from their slumbering, and to prepare us all for what lies just ahead of us. Purge the old wine (false teachings), and be sober. The Sun is 1 Astronomical Unit from Earth. It's diameter is approximately equal to 400 Earths lined up side-by-side. It's solar wind, or heliosphere is at least 100 A.U. in all directions. “‘For look, the day shall come, burning like a furnace, and all the proud, and every wrongdoer shall be stubble. And the day that shall come shall burn them up,’ said Yahuah of hosts, ‘which leaves to them neither root nor branch. But to you who fear My Name, the Servant of Righteousness shall arise with healing in His wings. And you shall go out and leap for joy like calves from the stall. And you shall trample the wrongdoers, for they shall be ashes under the soles of your feet on the day that I do this,’ said Yahuah of hosts. ‘Remember the Torah of Mosheh, My servant, which I commanded him in Horeb for all Yisrael – laws and right-rulings. See, I am sending you AliYahu the prophet before the coming of the great and awesome Day of Yahuah. “For this we say to you by the word of the Master, that we, the living who are left over at the coming of the Master shall in no way go before those who are asleep. Because the Master Himself shall come down from heaven with a shout, with the voice of a chief messenger, and with the trumpet of Alahim, and the dead in Messiah shall rise first. Then we, the living who are left over, shall be caught away together with them in the clouds to meet the Master in the air – and so we shall always be with the Master. So, then, encourage one another with these words.